In addition to the consumer product announcements, Netgear is also releasing a number of new products targeting commercial deployments. The company has been heavily pushing cloud-managed devices in this market segment – providing VARs and IT administrators with an easy way to deploy, monitor, and maintain the network at small and medium businesses (SMBs) using their Insight service. 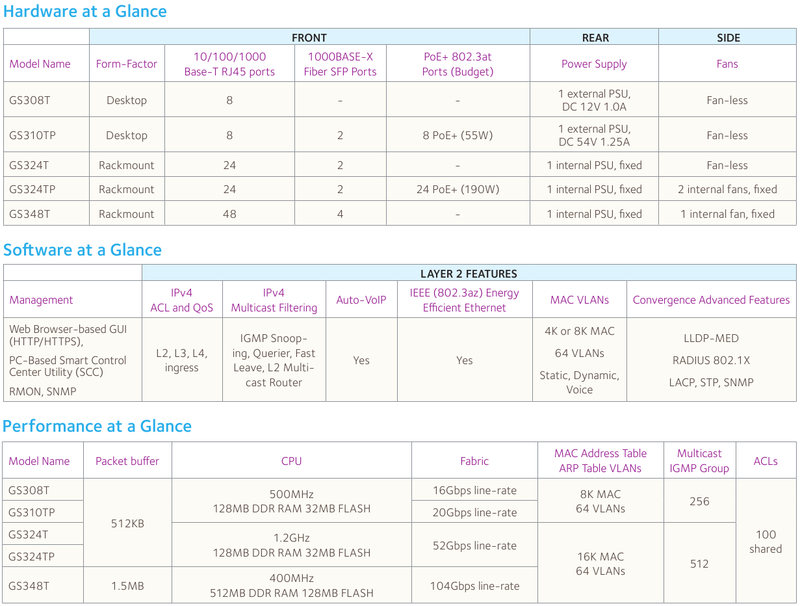 Keeping this in mind, all the new products (except for the S350 series switches) are Insight-compatible. The company is also adding new features to their cloud management platform. Netgear is launching five new switches in the Smart Managed Pro S350 series with 8 / 24 / 48 ports (and 2 / 4 SFP ports for uplinks). The 8 and 24-port models have Poe+ variants. A summary of the features of the five models is provided below. Netgear is launching a new Orbi Pro Mesh Wi-Fi Ceiling Satellite. 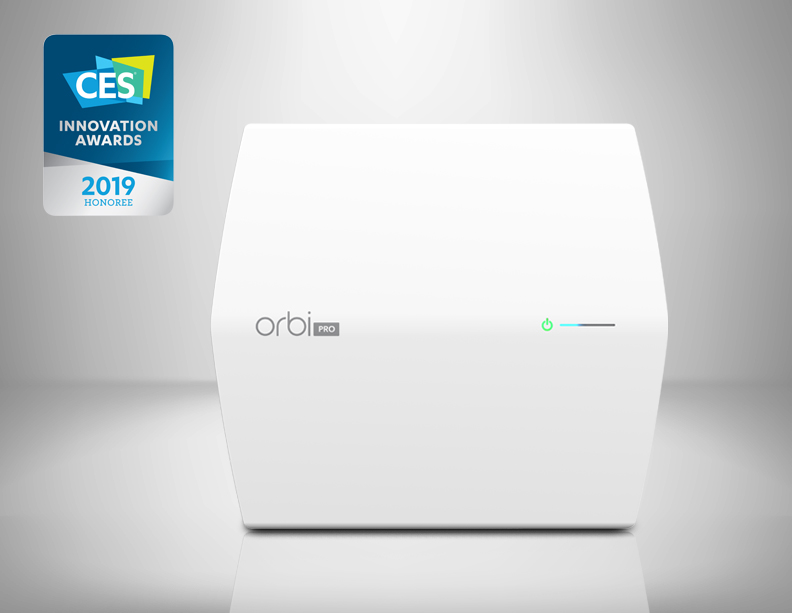 It can connect to an existing Orbi Pro router or satellite and comes with a 4×4 MU-MIMO radio for a dedicated wireless backhaul. This satellite finally brings PoE support to the Orbi Pro family (a shortcoming that we had pointed out in our launch coverage). The Insight-Managed Smart Cloud Tri-band 4×4 Wireless Access Point (WAC540) is being introduced to target dense high-traffic deployments. 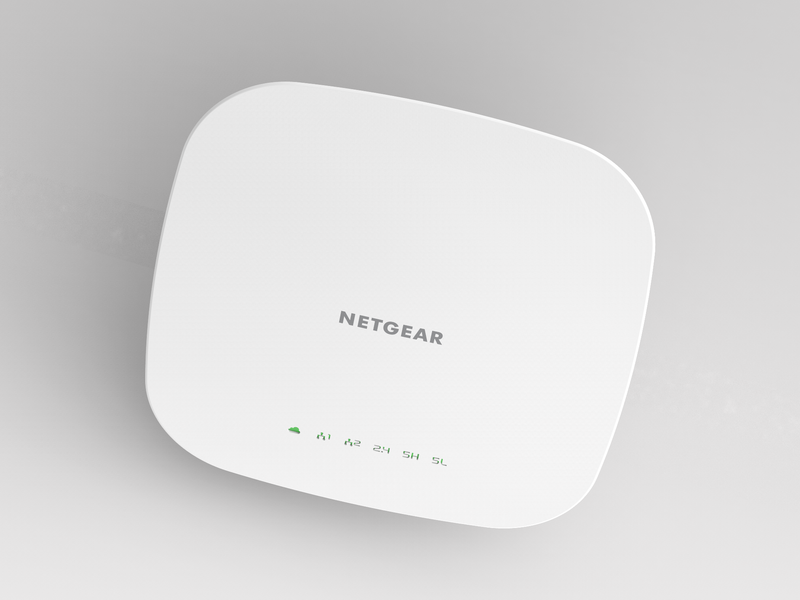 As its name indicates, it comes with 3 separate radios (1x 2.4 GHz, 2x 5 GHz), and can support hundreds of Wi-Fi clients. The WAC124 AC2000 Wi-Fi router is being launched as a cost-effective business 4×4 802.11ac Wave 2 router for simple installations. All of the above three devices can be managed with the Insight platform. New core features include instant Wi-Fi setup, RADIUS authentication on Insight Switches (with Premium subscription), and the ability to easily backup and restore device configurations. The Insight Pro features target VARs and integrators who can add their own management fees for recurring revenue. The Pro features include custom reports for multiple installation sites (including troubleshooting, network health reports, and change logs), ability to rapidly deploy network configurations across multiple sites, along with the backup and restore functionality. Cloud management can be done using any web browser. Mobile applications are also available.